As a busy moms we have to make sure that we are taking care of ourselves. But we often don’t have the hours to spend in the kitchen whipping up a nutritious meal. That’s why I love adding these quick low carb smoothies into my daily nutrition routine. 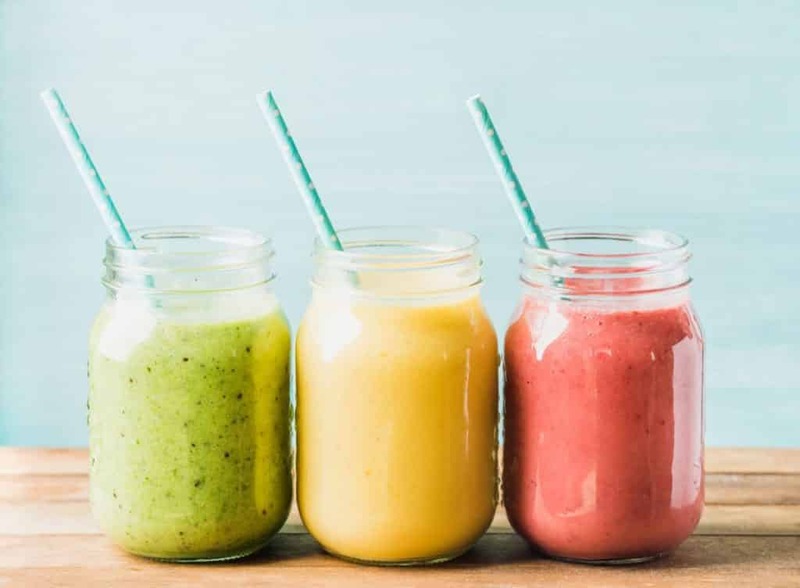 With energy-enhancing ingredients like fresh fruit, green tea, ginger, and protein, you’ll give your smoothie an extra boost with antioxidants and essential vitamins without having to take a pill or supplement. The protein and fiber in these low carb smoothies will help balance hunger, energy, and cravings and will keep you burning fat all day long! These low carb smoothies are also low-calorie, so they’re great as post-workout fuel or a mid-day snack…. Mix all of the above ingredients in a high powdered blender. Bonus tip: Fresh Ginger is great to soothe digestion, heartburn, nausea, and other stomach trouble! This is a natural remedy you’ll love! Brew tea bag for 2 minutes in water. Mix all of the above ingredients in a high powdered blender until smooth. Bonus tip: Green tea and blueberries are both incredibly antioxidant-rich, so this low carb smoothie is a post workout nutritional powerhouse! Bonus tip: This super thick smoothie recipe tastes almost like ice cream. You’ll never believe it’s healthy! Bonus tip: This high-fiber smoothie recipe contains tons of vitamins. Kiwis are known to have high levels of heart-healthy polyphenols and vitamin C, so serve this up anytime you need a nutritional boost! Online Meal Kit Delivery Service for Summer: Is It Worth It?